This time of year pretty much all churches do some kind of promotional push of some time. However, I hear one advertising on the radio that seems rather different. I know that radio advertising is a little unusual, but they sound almost like a family community centre, providing parties and gatherings for all the family. No mention of faith or belief, and it would be easy to miss the fact that they are a church. When I look at their website (linked above), that has a very professional look, but, once again, it could be mistaken for all sorts of other organisations. I don't know what I think about this. On the one hand, it is quite refreshing to see a church who understand something about communication, who know how to put a site together, and who know how to do a radio advert that is not more excruciating that a Bruno Mars song (which, sadly, also features far too often on my radio). On the other hand, it seems slightly deceptive to draw people in with family, community activity, without being clear up front that this is a religious organisation. As I read their site, it is clear that they are on the conservative evangelical wing. So for some people, they would probably find a less than warm welcome there. It is an impressive site, and does mention Jesus as Lord, not exactly prominently, but it is there on the home page. I suppose that for those who live and move and have their being on the internet, this may be attractive and engaging in a way they can connect to. It certainly is flashy, and it appears many of those pictured are well dressed and groomed and appear prosperous (my own value judgment admittedly, based on appearance.) Indeed it may work for a certain section of the population. Mind you, seeing it I would run in the other direction! Too flashy, too ‘surface look’ for me. I would fear that the spirituality is shallow, but that may be very incorrect. Again, I go by appearances and my own prejudice. And, I must admit, I am somewhat jealous! My small shack, with two very part time clergy, is pressed to celebrate the Eucharist, preach the word, visit the sick and keep some semblance of office organization going so we can make appropriate reports to the Diocese, etc. Keeping a website up to date with events, services, etc., would tax our time. We are told we need not only a website but an active Facebook page to snag the 40 year old set. Well, we don’t have the time nor the talent nor the treasure (no internet at the church office, we do all our on-line work from home) to maintain anything close to that. Any photo montage we would mount would show a congregation mostly in their 70’s or 80’s: faithful to the max, tired often, dedicated to gospel based living and loving, and totally out of date with modern forms of communication. They have few internet skills, but they bake and bake and bake to give away cookies at the highway rest stop, asking for donations that we in turn will give away to non-profit caring organizations in our town. Any fund raiser we hold is to make money to give away, we keep nothing for ourselves other than pledge income and the odd donation. There are days I feel like a dinosaur ministering to dinosaurs, but take comfort in that we are faithful and together, and will someday probably be extinct. It's a complex balance. As one who cut my teeth in media before churchianising I am constantly aware of how mad most church publicity is, who compromised the little that does the profiling well is, and how critical media presence is. Let me know when you get the formula right. I think though that dressing up an a no Christ-reference social group is a bad policy ... theologically and psychologically. Instead we have to find ways to tap an incarnational Christ-faith into an anything interesting goes three second memory retention media world (including print). With integrity. We are told we need not only a website but an active Facebook page to snag the 40 year old set...Any photo montage we would mount would show a congregation mostly in their 70’s or 80’s: faithful to the max, tired often, dedicated to gospel based living and loving, and totally out of date with modern forms of communication...Any fund raiser we hold is to make money to give away, we keep nothing for ourselves other than pledge income and the odd donation. I'm 45, and based on that description (especially the last bit) I'd join you if we were in the same town. - Online Giving Tithes and Offering. Statement of faith, mission statement, etc. I don't know anything beyond what's on the site. As advertising and marketing very professional. The church as a whole should always go for the best - we are all let down by shoddy out of date notice boards and confusing language. To the outsider it suggests that faith is probably just the same. I think this ad DOES say it's a church but that is overlain by a kind of lifestyle message not life. I wonder at any church who charges £10 for New Year's Eve and whose web site trumpets (in red emphasis) tithes. Click on the tithe ap and you have a few options! 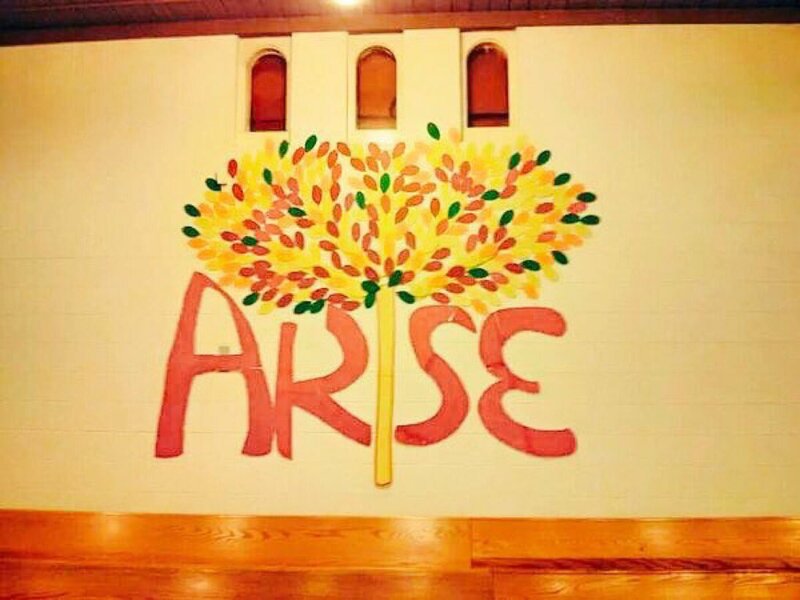 Not the sort of church which appeals to me particularly once I read their statement of faith. There's a few theological minefields in there which raise expectancy. I think a 30s look at the site and you could think it was a community support charity, with a faith base. Not quite the same thing. What's a "30s look", please? Thx. In other words, a glance that lasts thirty seconds, i.e. not very long. Can you link to the radio advert? The church site looks very churchy to me. I can't see that even a 30 second look would miss that this is a website for a church. I don't have a link to the radio ad. It emphasises the childrens parties before mentioning that they are a church. I think the website may look very churchy to people expecting it to. It does when you look and read carefully. But there is something of the Oxfam/Community action organisation to it. It is largely the professionalism and the standard look. As I tried to say, it isn't being deceptive at all. They are quite open about what they are. It is about how they present themselves - and understanding that people don't give 100% of their attention to what they are seeing and hearing. And I do quite like it. Part of me feels that this is how every church should be promoting itself (using the local radio, presenting a quality website with up to date information). And some of my wonders whether they are trying too hard. The web address is also a bit of a giveaway. With the word church in it and all. Frankly, if someone didn't realise that was a church website, I'd recommend an appointment at Specsavers. It's a fairly nice, rather slick website. Lucky them to have a web developer in the church. Would I go there based on what I read. Nope! It's not my kind of place. The pastor was convicted and jailed for sexual assault and perverting the course of justice a decade or so ago. The current church is supposedly the second largest Pentecostal church in the UK so I suspect they can well afford a full-featured web site. From reading Richardus's link, I think it's more likely a case of lucky them having enough income to afford a professional web site builder! Who are you trying to reach with a Christmas advertisement anyway? My neighbor was over with her daughter on Sunday, and she expressed interest in coming to church with us on Christmas eve, because while she is a lapsed Catholic, she still thinks that is an important part of the holiday. And I think that is who you are trying to reach. Maybe they come back after Christmas, maybe they don't. But it's an easy day to get perspective members in the door and share a message. And I think for that, it wouldn't make sense to have a statement of belief in the advertisement. Maybe it is only me that has looked at loads of church websites, but this just looks like all the all the rest. * I have seen many a charity website and cannot think of a single one that looks anything like this. Most charities, particularly local charities have very limited funds and are much more likely to have a Facebook page and very basic website rather than something in HTML5. * actually the number of similar websites from our British charismatic and pentecostal brethren suggests to me that they're all copying from similar sources - presumably North American. First: I do apologize for whining about our parish’s lack of a website. Thank you for enduring it without challenge. It was, perhaps, a sign of the visceral response I had to the site in question. Second: My comments about photos of well dressed folk: I quite enjoy seeing people nattily dressed! My thought was that this church may preach a gospel of prosperity with financial reward in this life as a sign of faithfulness, something that would concern me (the preaching, not the prosperity!) The photos, combined with the lack of any feeding program, food/clothing/thrift shop outreach, etc. also seemed a coded communication that the poor and needy might not find welcome here. Ditto on what I hear as coded language about “family” -- that LGBTQ people might not be welcome. Lastly, my comments and the kind reply from Mark in Manchester reminded me that I must tell my congregation how proud I am of them. Sunday’s gospel is John’s sending to see if Jesus is the one who is to come. I am preaching on Jesus’ response of “actions not words,” and my dear, elderly congregation needs to hear a bravo for some honest kingdom living! I am blessed to be in such good company, with them, and with all of you here. I am most grateful. Judging from the photos, most of the people attending that church are black. Black people tend to dress up for church. Not because they're rich; as individuals they're probably poorer than the casually dressed white people at the charismatic church a few miles away. Also, this notion that the church's job is to be generous to the poor assumes that the church is wealthy and that poor are mostly outside the church. If we're talking about an ethnic minority congregation in a fairly working class area this understanding is probably inaccurate. Many of the church's members will themselves be in difficult circumstances, and a lot of work may be going into mutual support. I feel it's the kind of church you'll join if you feel you need the sort of assistance they offer. Regarding what isn't on offer, we don't know if other churches in the area are already providing efficient food banks and other practical help to the general community. IMO the online Christmas promotion is as cheesy as any Christmas promotion that isn't inviting you to a tasteful festival of nine lessons and carols. That's just normal! I can't comment on the radio advert, as I haven't heard it. This thread wasn't intended to be a discussion of that particular church. I was only using that site and radio ad as an example (asking people to discuss an ad that they haven't heard is rather obtuse). I think one issue with the radio ad is that I listen in my car, as I suspect many do. So you don't always get the whole thing, and you can be drawn in by the offer of childrens parties. We have this sort of thing regularly advertised on this station, because it is a local station. And part of me thinks that churches should be advertising this way - using local radio to plug the big events, in a clean and engaging way. The cost is not really the limiting factor in many cases (it is not stupid money), it is the willpower. It is the revulsion over explicit "advertising". It is a sense that, really, we don't want a lot of new people coming who we have not pre-vetted. Um well it is a bit tricky to discuss something we've not heard! Just to be clear - the station is a commerical non-religious local station. Is that right? Nothing in the advert suggested it was something run by this church? Hmm. So you don't want to discuss this particular church (which is tricky anyway given that we know little about it) but you want to discuss the reasons other churches may or may not use radio advertising and then want to opine that this is related to the lack of pre-vetting? I'd be very surprised if the reason churches didn't use forms of advertising was the risk of, y'know, people we don't know turning up. I must get out more often; I read that as North Korean. 1. I have no idea what rules surround advertising by churches and religious organisations on commercial radio in Britain. I imagine it must be quite tightly regulated. This article (with which I don't entirely agree!) suggests that churches should make more use of the medium than they should. I have no idea when it was written but it does look fairly old. 2. The second issue is to do with what is legitimate to use as an inducement to receive the Christian message. My son worked for a time in a church and was upset when they put on a "power-lifting" event which ended up with a strong Gospel appeal - the advertising had not made it clear that this was an evangelistic event and he felt that it was dishonest. Conversely one might think of Jesus drawing people to him by signs and healings - to what extent might these have been considered "advertising"? A funny story. Many years ago I worked as a missionary in a small African country. At that time there was only one Government-run radio station and no television. Evangelicals, Catholics and Muslims however were each given a half-hour weekly slot to broadcast a live worship service. One Christmas we were approached to put on a special Christmas programme. A Dutch missionary produced it quite slickly, considering he only had simple equipment at his disposal; among other items it included singing from a young peoples' choir and a short message from a local Pastor. The programme was rejected, not for its overt Christian message but because "it was too good" and had clearly been produced abroad (which it hadn't)! A year or two later the station produced its own Christmas programme which wasn't bad, especially when considering that this was an avowedly Marxist state! It looks like this is probably the code relating to the advertising of religion on radio (or services related to it). "As a rule of thumb, radio advertising is charged at a rate of approximately £2 per thousand listeners at one time. ... if a show has 100,000 listeners at 10am, then buying a 30-second spot at that time will cost you £200. The late show's 10,000 listeners at 11pm would only cost £20. Generally, expect for a slot of 30 seconds to cost around £250 - £1000 per week, depending on how often your ad is broadcast and amount of listeners". Plus the cost of making the ad. Others may feel that an ad might not reach people who live in their area or have the desired effect - local bums on local pews. Some local radio stations don't accept ads from any religious organisation. But obviously the reason that most churches don't advertise is because they don't want the wrong sort of people turning up. Obviously. That was such a joy ...! I still love this video commercial from across the pond that was apparently banned about 10 years ago. I think this must be part of the "God is Still Speaking" campaign which the UCC (USA, not Canada) ran. The URC in Britain was keen to use the same materials but ran into two problems. One was that AFAIK churches cannot advertise on British television, the other that the UCC weren't prepared for the URC to use their stuff. The URC then started putting together a similar campaign called "Zero Intolerance" which ran into the sand over all sorts of issues: would the Church really be to include absolutely anybody without judgement, how would the URC work this in with its many Ecumenical churches, was there a unified "image" for churches within the denomination, even the actual design of the posters. After much discussion it died a death. I read a very humorous book a few years ago, which dealt with the problems of church advertising (particularly to raise funds) in novel form. I think it was called 'Kingdom.com', although I can't find that title on Amazon, perhaps it was something similar. It sounded plausible but rather too extreme. But I've started to discover that churches, particularly some cathedrals eg. Liverpool, are using more and more unusual ideas to advertise the presence of their building, if not their actual services. So perhaps the story in the book is not so extreme after all, and is rather a portent of the future. Hmm. I hardly think that either Cathedral in Liverpool needs to advertise its building! Services and activities - quite another matter, of course. Our Place is in a really obscure maze of backstreets, and, despite its size, is not easy to see or find. We use websites (2 thereof), a free newsletter 3/4 times a year to every home in the parish (or as near as we can manage), plus posters in the local supermarkets and Community Centre, the occasional mention on the said Centre's own in-house FM radio station, and whatever else we can think of. Despite all that, the best method of advertising is by word-of-mouth. One of our Faithful Few keeps a supply of current pew-sheets, flyers, newsletter etc. in a pocket of his jacket, ready to hand out as and when the need arises! Yes, that's the one, I recognise the cover. How strange I got no results when I looked up the title yesterday. Thanks for providing the link.